Peter Connolly is an archaeologist / historian with a talent for reconstructing equipment. A research fellow at Oxford in England, he is also a skilled illustrator. He is a noted authority on Roman archaeological finds, so his superb illustrations are accurate and well detailed. His profusely illustrated books are a superb reference for Roman army life. Connolly is a regular contributor to such journals as the Journal of Roman Military Equipment and Roman Frontier Studies. He has also appeared in the occasional TV Roman army documentary. Peter Connolly wrote 3 excellent books now out of print: Greek Armies, The Roman Army, and Hannibal and the Enemies of Rome. Their contents were combined to form this much valued hardcover book, Greek and Rome at War. 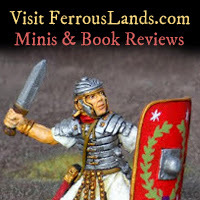 This is absolutely the must-have for anyone interested in the Roman army. Copiously illustrated, the book contains detailed descriptions of the armies and equipment of the Italians, Greeks, Macedonians, Romans, Carthaginians and Celts. The book was first printed in 1981. A revised edition was published in 2006. The book is extremely valuable to the Roman military scholar. Indeed, this book provides a reference for a majority of articles on this site! The Legionary describes the life of a typical Roman soldier by following the career of a historic figure from Trajan’s Dacian Wars, Tiberus Claudius Maximus. Connolly’s text and ample illustrations are all based on the latest archaeology. Unfortunately, specific sources for his illustrations are not given, nor is there a bibliography. These books were intended for a general audience. Connolly's scholarship can be trusted, but it would have been nice for interested readers to know the specific sources for the author's arcaheological illustrations. The Cavalryman continues the career of Maximus into the cavalry. Sadly, this book, The Legionary, and The Roman Fort are all out of print. I was fortunate enough to buy them when they were only $12, but now they used copies are selling for quite a bit more. I'm hoping they are combined into a single volume, as with Greece and Rome at War. The Roman Fort examines life in a Roman fort by using the Housesteads on Hadrian’s Wall as an example.